It is anticipated that Passport Potash will be releasing its first assay core results from the Holbrook basin project this coming week. 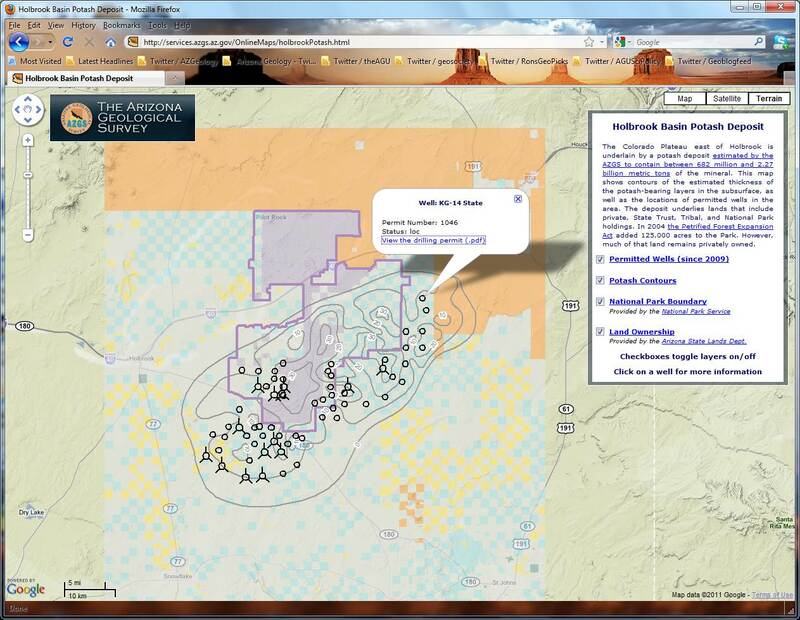 The drill program started in the Twinn Buttes Ranch so I would assume that the first results will come from that area. The historical public information shows that the sections of the TBR closest to the park in the south corner have thicknesses of up to 40 feet of potash. Its clear there is potash, the waiting is for those assays to show everyone the grade. Good luck PPI with those first assays!